Young nettle leaves are edible, they taste like spinach when cooked, and are rich in vitamins and minerals. Pick only the tips – the first four or six leaves on each spear – and you will get the very best of the plant. Use them just like spinach: wilted and buttered as a simple side dish, or added to anything from soup to pasta. 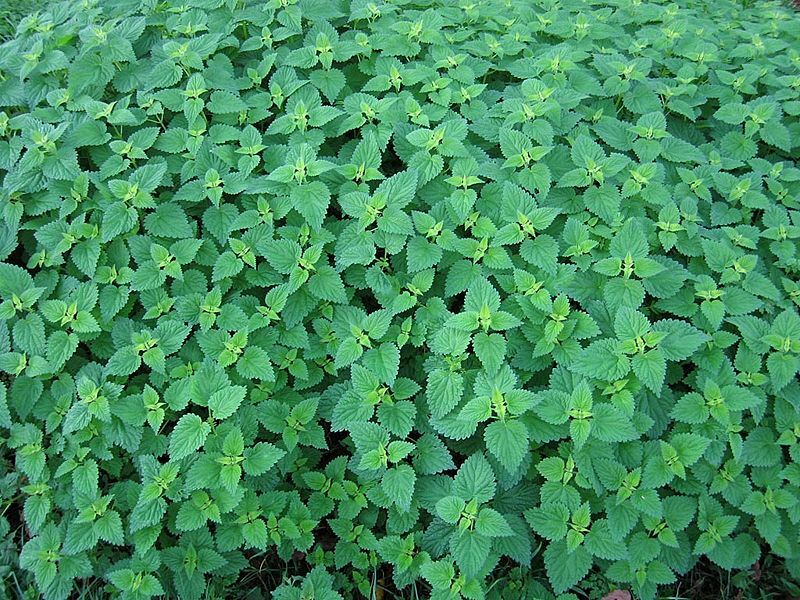 In Albania nettles are used in a dish called borek. The top baby leaves are selected and simmered, then mixed with other ingredients such as herbs and rice, before being used as a filling between dough layers. In Greece the tender leaves are used as a filling for hortopita, which is similar to spanakopita, but with wild greens rather than spinach for filling. You can make tea from nettles. Nettle tea is a great health tonic and is good to treat high blood pressure, anemia, skin inflammations and more. Nettle tea is said to clean out the entire digestive system and stimulate the body’s natural defense mechanisms. 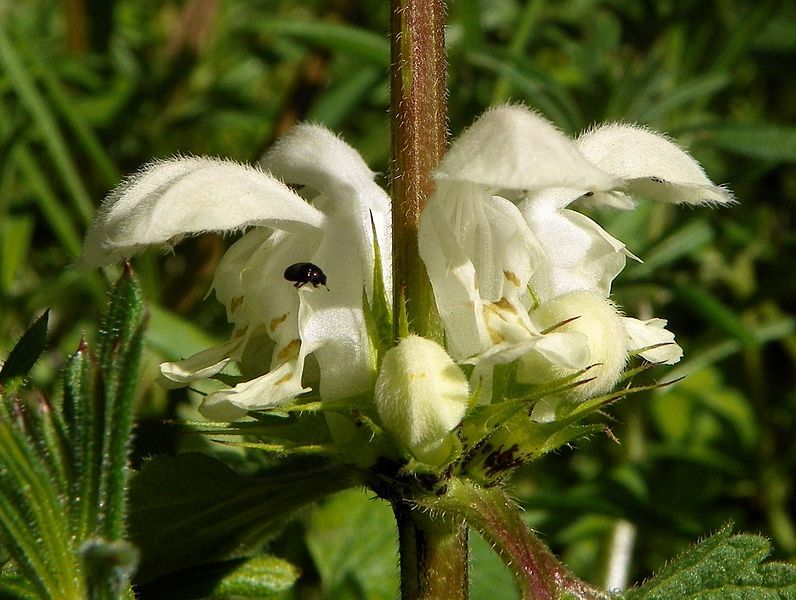 Lamium album ) can be used instead – and it doesn’t sting!